This evocative production by Giancarlo Del Monaco sumptuously captures the look and feel of 14th century Genoa and is a perfect compliment to Verdi’s setting of this story of searing conflict between public duty and private grief. 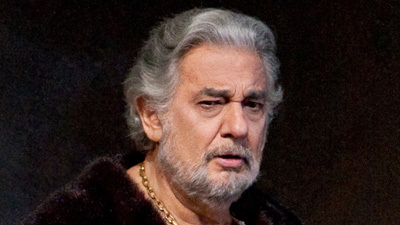 Plácido Domingo is Gabriele Adorno, sworn enemy of the doge of Genoa, Simon Boccanegra (Vladimir Chernov). Gabriele is in love with the beautiful Amelia (Kiri Te Kanawa at her most affecting) who turns out to be none other than the long-lost daughter the doge. 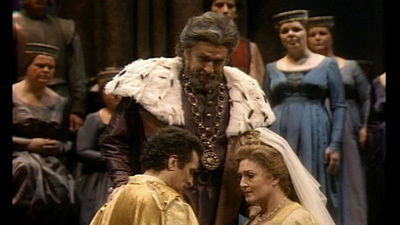 James Levine’s authoritative conducting of the Met orchestra and chorus reveals the dark power of Verdi’s score.